Horan Hall is on upper campus, right at the top of the hill. This dorm houses over 200 students, and became co-ed in the 2017-18 school year. It is conveniently located next to Hilltop Center, which houses the cafeteria, recreation facilities and more. 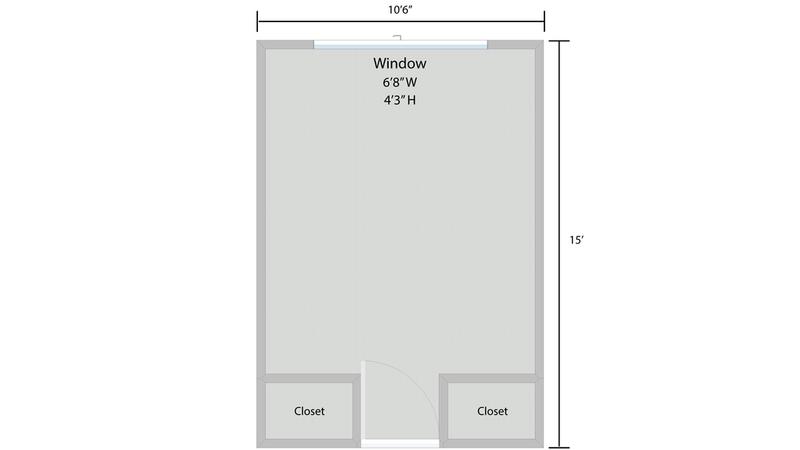 Room sizes are approximately 15' x 10' 6"
Discover the great outdoors! If you enjoy spending time outdoors, or have an interest in doing so, joining the Outdoor Adventure LLC in Horan Hall may be a great fit for you. You will get the opportunity to take part in trips like indoor/outdoor rock climbing, low and high ropes courses, hiking in local parks, whitewater rafting, skiing, snowboarding and backpacking. You will also have the opportunity to explore leadership by helping plan activities for the community. 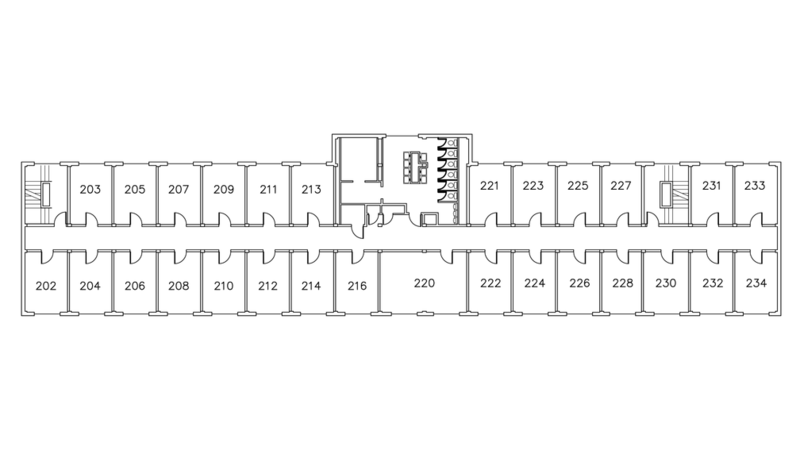 *All floors have the same layout. Example 205 represents location of 305, etc.